A school like St Peter’s Catholic Primary has a very special role in our community. Many generations of children from the local community have passed through its gates, grown up and then returned to send their own children here. This gives us stewardship over not only the future of the children in our care but also the memories of their parents and grandparents. 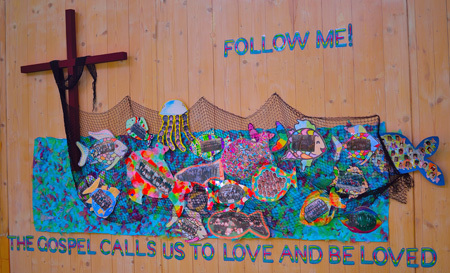 The Catholic faith is the beating heart of our school; it informs everything we do. We strive to provide an excellent, Catholic-based education for our pupils and help them build a strong foundation for a life of learning that we hope will carry them through the challenges ahead. We look forward to working in partnership with you and your children so that we live, love and learn together. Please click on the link below to access Governor details, including roles and responsibilities, terms of office and relevant business and pecuniary interests for the academic year 2018-2019. Thank you.